lemon law. | eat your cake and count your chickens. While doing research on the Lemon Law (unfortunately my adorable, sweet little Fiat is consistently, not adorably, falling apart beneath my feet! ), I came across information that the same malfunction needs to occur a reasonable amount of times, typically 3 to 4, to qualify for any forward motion in pursuing the law. 3 to 4 times! I thought, instantly. Wow, that’s nothing. In life, if I only had to make the same mistake 3 or 4 times to qualify for a complete overhaul, money-back guarantee, mandatory-new-plan-of-action, I would undoubtedly be so far past anything I’m struggling with right now! 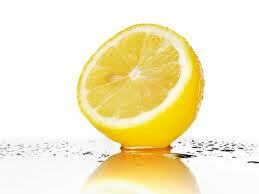 Join me and enact the Lemon Law in your life, starting today. If a choice or decision or relationship or plan of action had failed AT MOST 3 to 4 times, it is time for serious action. No “but it might work out this next time” or “but this happened, and that changed things a little” – no! New plan. And, like the Lemon Law states, if it is for a serious issue, then it only needs to occur 1-2 times before you take serious action. Serious issues include, but are not limited to, failing brakes, bad seat belts, bad relationships, irresponsible choices, and unfulfilling jobs. happy Sunday eatyourcake-ers. This past week, I had 16 unique visitors here. You know what that means – 1/6 of the way to my year goal for this baby! we can do this! I love all of you so much.